Glory RBG-100 Cash Recycler - Technology Unlimited, Inc.Technology Unlimited, Inc.
Glory’s new banknote recycling machine, the RBG 100, provides an efficient high performance cash management solution designed to be installed in teller lines to process customer transactions, ATM pulls, large deposits and teller vault buys and sells. 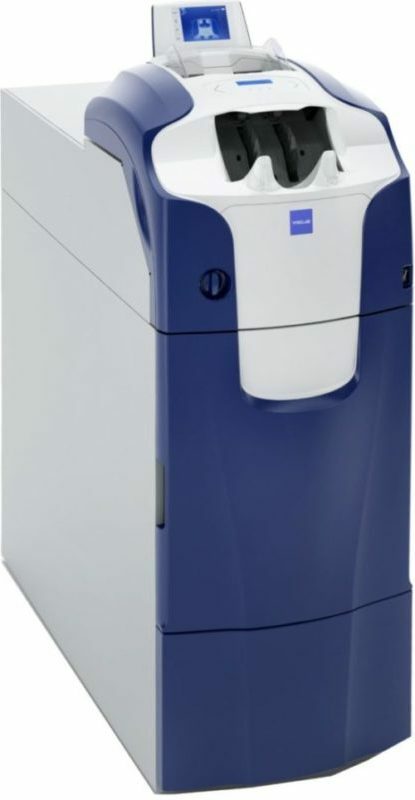 Large banknote capacity – The RBG-100 provides up to a 17,100 note capacity that includes approximately a 12,600 recyclable banknote capacity and a secure collection drawer of up to 4,500 notes. Continuous processing with large hopper – A 300 note feed hopper provides fast processing of large banknote deposits without interruptions and more opportunities for customer engagement.